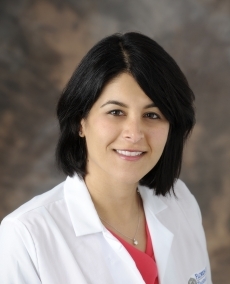 Torfay Sharifnia Roman, MD, joined the AdventHealth Transplant Institute in October 2014 as a transplant hepatologist. She completed her transplant hepatology fellowship training at Vanderbilt University Medical Center in Nashville, Tennessee. She undertook her internal medicine residency training at Boston University Medical Center and her gastroenterology fellowship training at Vanderbilt University Medical Center in Nashville, Tennessee. I care for patients in the way I would want my family or myself treated at a time of illness and vulnerability. Keeping the focus on what is right for the patient is my first priority.